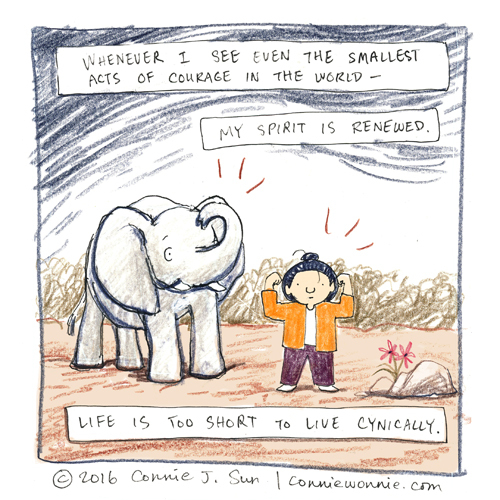 Life: too short to live cynically. Thank you Connie. And thank yer elephant pal too.